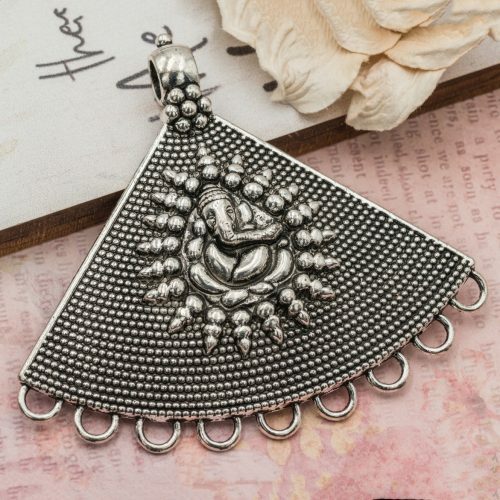 large fan shape metal pendant with Ganesha on the front. Size 3 inch wide x 2 1/2 inch tall with a 6mm loop. The design is on one side only.